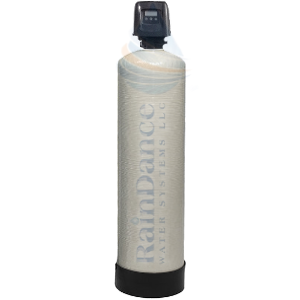 Let RainDance Water Systems Well Water Team solve your commercial well water problems. If you have a well water treatment requirement, we will have the solution. Please take some time to browse through our commercial well water filters below & feel free to contact us should you require any further assistance. Choose from a broad range of Commercial Iron Removal Filters, Manganese Filtration, Hydrogen Sulfide Gas Treatment, Sediment, Sand, Turbidity Filtration, and more. We can meet or design these systems to accommodate your commercial flow rates from 10gpm to 200gpm++. See our selection guide below. Commercial Water filters designed to suit your needs! We can offer tailored made systems to meet customer specific needs, we are able to produce maximum efficiency and optimum filtration water filters based on your requirements. We can accommodate high commercial flow rate filtering applications - irrigation, farming, car washes, golf courses, colleges, and more. ​ Ask for your no-obligation quote today! Please contact us via Fax, Email: Support@RainDanceH2OStore.com , Call, or Live Online Chat with our commercial water treatment design team to discuss your requirements. Easy Installation For The Do It Yourselfer, Plumber, Or Installer - Only 3 Connections! ​SAND FILTERS: Customers experiencing high sediment, silt, sand, and turbidity please see our no-maintenance RDWS-NS sand sediment filtration systems. Superior media filtration technology. Based on a rare natural mineral that is highly processed and refined, It's unique properties allow it to radically alter the performance and cost of media filtration. The hardness, stability and micro-porous character makes it a perfect filtration media for virtually every application in the water treatment industry. High filtration performance 5 micron removal. High capacity filtration throughout the entire media bed depth provides more than twice the capacity of multimedia filtration. High Service Flow 3-4 times that of multimedia with superior filtration. Simple NO ROUTINE FILTER REPLACEMENT MAINTENANCE, NON-Chemical periodic backwash keeps the media clean and operating efficiently. Contaminant Treatment: Chlorine, Organic Chemicals, Fertilizers, TCE (Trichloroethylene), EDB (Ethylene Dibromide), THM (Trihalomethanes), Sediment, Chemical Odor, Pesticides, Detergents. Our WH-CARB Series can accommodate much higher flow rates than listed. Generally, the lower the flow rate, the more time the contaminant will have to diffuse into a pore and be adsorbed. Adsorption by activated carbon is almost always improved by a longer contact time.